PB Patchers are fully equipped so you can tackle patching jobs with just one man and one machine. All PB Patchers feature an insulated and heated asphalt box that keeps asphalt hot and usable all day. PB Patchers let you repair potholes, road shoulders and utility cuts all day. PB Truck Mounted Loaders combine a dump truck and loader into one machine. 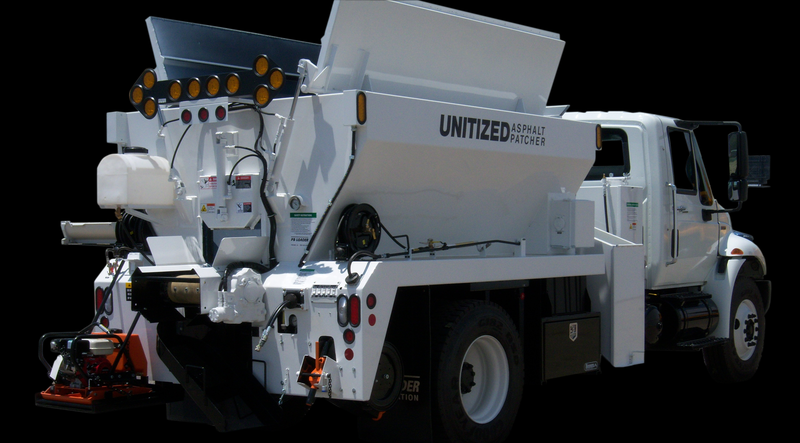 Designed to load, haul and dump leaves, gravel, dirt, snow, trash, cold patch or brush. Save operation cost, reduce man power and free-up equipment for other jobs. Fully-equipped PB Emulsion Sprayers are offered in both truck mounted and trailer mounted models. Pump and compressor type emulsion sprayers are available with a variety of options to meet your needs. PB Dump Bodies are offered in a variety of models and capacities. Features include heavy-duty construction, easy acting tailgate control, full depth corner posts, all steel tailgate hardware and much more.